Another great 3M product you can trust in your home. From Paragon Window Tinting & Graphics. We have all heard of 3M Post-it Notes, 3M Scotch-Brite scourers and 3M Scotch Tapes. 3M Window Films are another great 3M product you can trust in your home from Paragon Window Tinting & Graphics. 3M invented window films. No one has more experience with window films. In 1966, they received the first patent for window films, and continue to invent new ways make your life brighter. Today there are millions of square metres of 3M Window Films installed all around the world. For decades, 3M has been the world leader in the development of innovative adhesives and films. 3M films resist peeling, bubbling, scratching and abrasion for long-lasting beauty and clarity. And when installed by a licensed 3M installer have one of the most comprehensive warranties you can get. Most 3M Window Films are backed by a lifetime residential warranty that covers the film and labour should your window film need replacing. Protects your furnishings as well. 3M Window Films are designed to reduce the effects of solar heat and visible light on your furnishings and will block up to 99% of the sun’s harmful ultraviolet rays, which are the single largest cause of fading. While no film can stop fading completely, our films dramatically slow the progress of fading to keep your home looking beautiful. Selecting 3M Window Films gives you peace of mind. That’s because we have one of the most comprehensive warranties you can get. 3M Window Films are backed by a limited-lifetime residential warranty should your window film need replacing. Put your trust in 3M Safety and Security Window Films, a name you know for quality products and service. 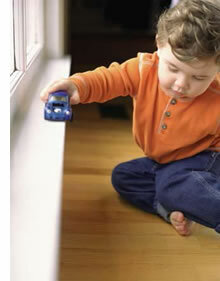 3M have been in business since 1902 and making Window films since 1966. They never stop creating new window film products and solutions that protect you and your family.